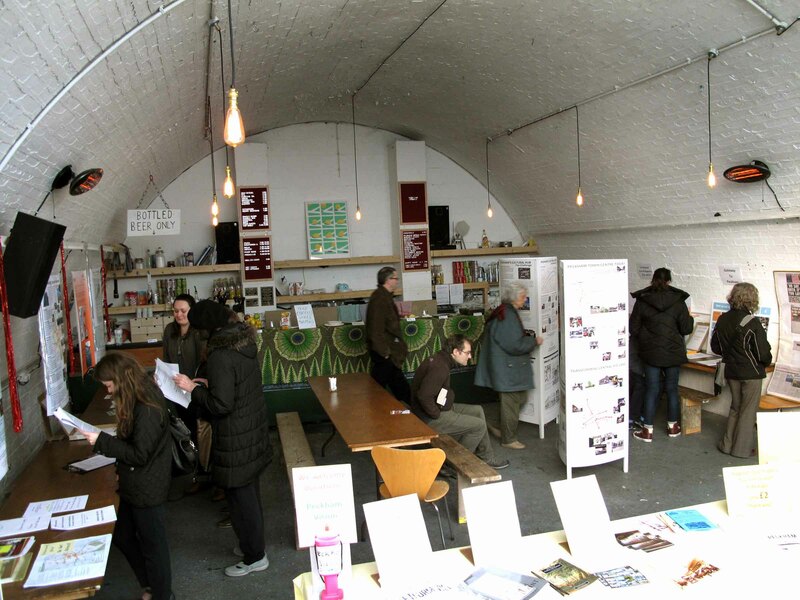 WILL YOU SUPPORT PECKHAM’S CREATIVE INDUSTRIES? 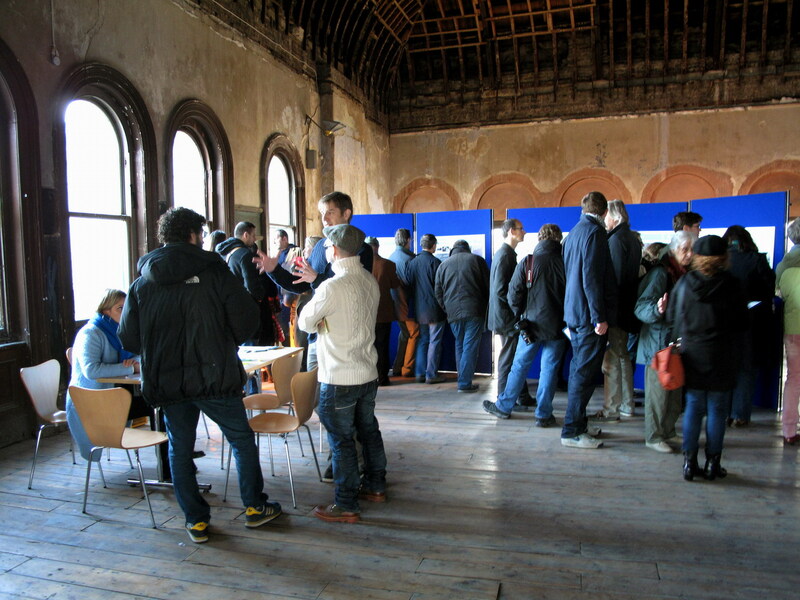 First reports from the Peckham Vision pop-up: Fantastic attendance all day Monday from 11am – 9pm: engaged locals found their way to us at our pop up exhibition behind the station about Peckham town centre. It’s rewarding when our community engages in our neighbourhood’s future and we empower ourselves through information. Lots of people dropped-in for the pop up talk and discussion at 7pm. And this was on a mid December cold and very wet evening! We had a lively discussion about regeneration and gentrification and found a shared concern and aspiration about the spirit of our town Peckham. Drop in during the day, on your way home, on the way to the station, or if you are in Rye Lane. Or come anyway! Through the arch in Blenheim Grove into the area behind the station and behind Bar Story. Follow the signs. 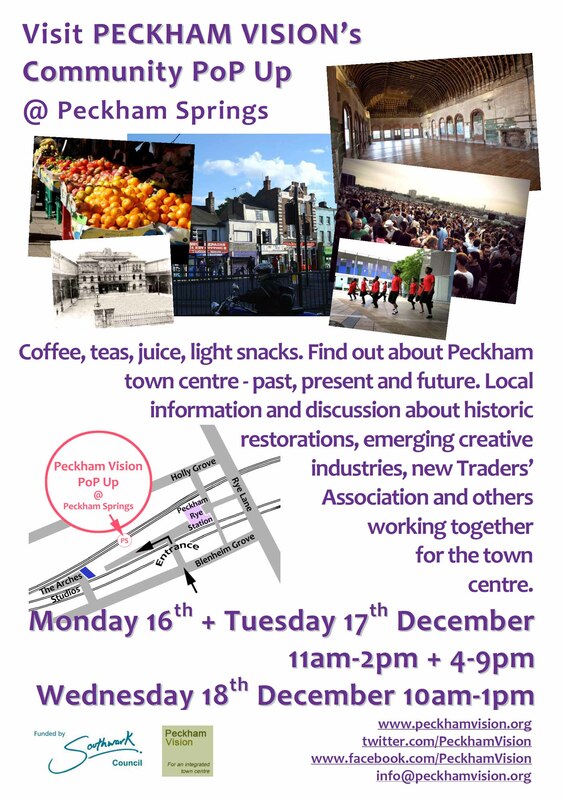 For two and half days, next Mon, Tues, Wed, you can visit Peckham Vision in the heart of Peckham town centre. We will be open morning, afternoon, and evening Mon & Tues, and on Wed morning. So hope this enables those to come, who can’t get to the usual meeting times. MON 7pm – Peckham regeneration & gentrification, what’s the link and what’s the effect, with Eileen Conn.
TUES 7pm – Peckham Rye Station & Holdron’s store, latest historical findings with Benedict O’Looney.